Looking for a company that encourages growth, offers flexibility to meet your lifestyle, and values what you do? You have come to the right place. Operating from our Fort McKay main shop, this position involves shop and field repairs to our fleet of heavy duty highway trucks. Candidates shall have knowledge on all aspects of heavy spec trucks with preference given to those that possess experience with water, vac, high pressure and flusher units. Operating from our headquarter in Fort McKay, this position involves the safe operation of a Steam Truck for washing of heavy equipment and various industrial related projects. Operators should be mechanically inclined and physically fit to work in all kinds of weather. Preference will be given to candidates with previous experience in the operation of high pressure steam trucks. We thank you for your interest in Birch Mountain and remind all candidates that only successful applicants will be contacted. Based on equal qualifications, preference will be given to local candidates. Operating from our Fort McKay location, this position involves the safe operation of a Water Truck for heavy equipment and various industrial related projects throughout the Fort McMurray region. Operators should be mechanically inclined and physically fit to work in all kinds of weather. Preference will be given to candidates with previous experience in the operation of water trucks. Operating from our Kearl Lake site, this position involves shop and field repairs to our fleet of heavy duty highway trucks. Candidates shall have knowledge on all aspects of heavy spec trucks with preference given to those that possess experience with water, vac, high pressure and flusher units. The manager is responsible to ensure safe and efficient use of manpower and equipment to meet the needs of our customers and management. This will include daily interaction with other team members, subcontractors and vendors to achieve high productivity and recognize business growth opportunities to benefits. Established in 2005, Birch Mountain Enterprises is an equal opportunity employer with over 295 employees throughout the Fort McMurray region. Operating from its’ main operations in Fort McKay, BME provides vac, water, waste, fuel and flat bed hauling services to industrial and commercial customers. When you join our team, you join a family of employees dedicated to a safe, enjoyable and positive work environment. We offer competitive wages and seek candidates that are seeking secure, long-term employment. Attend daily tool box and safety meetings as scheduled and adhere to corporate and site safety regulations and procedures. When you join our team, you join a family of employees dedicated to a safe, enjoyable and positive work environment. Operating from our Fort McKay location. We are seeking safety-conscious Class 1 driver with clean driver’s abstract. 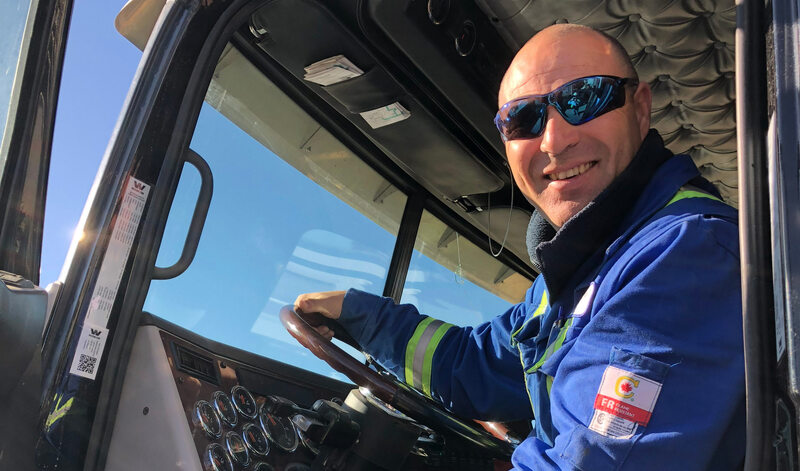 The ideal candidate will be physically fit, have previous experience operating water and or sewage trucks in the oilfield environment, fuel truck experience, b train experience, as well as the qualities listed below.